As more and more auto consumers continue to favor the SUV and crossover segments, there aren’t as many wagons still available on the market. However, the Subaru Outback continues to be an outlier as an affordable wagon that carries a starting MSRP in the mid-$20,000s. Each 2017 Subaru Outback boasts ground clearance of 8.7 inches and comes standard with all-wheel drive. The ‘17 Outback will compete for sales with the Volkswagen Golf Sportwagen, Chevy Equinox, and Ford Edge, among other models. 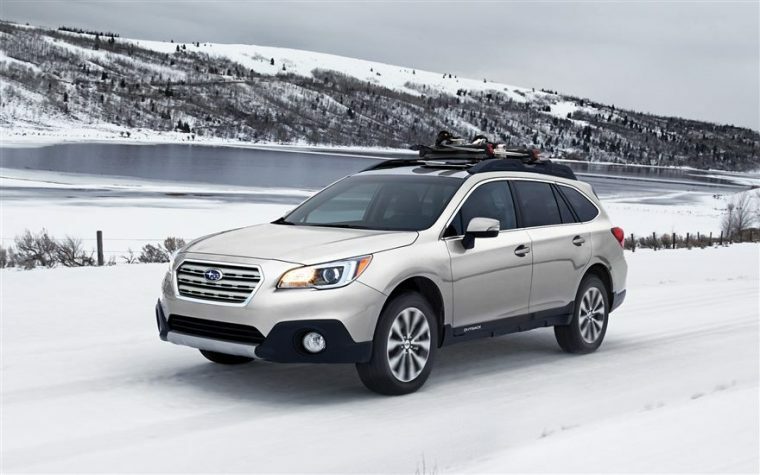 What’s New for the 2017 Subaru Outback? For the 2017 model year, Subaru will offer a new Touring trim for the Outback wagen. The Touring model will add unique roof racks, leather upholstery, and 18-inch aluminum-alloy Dark Gray wheels. 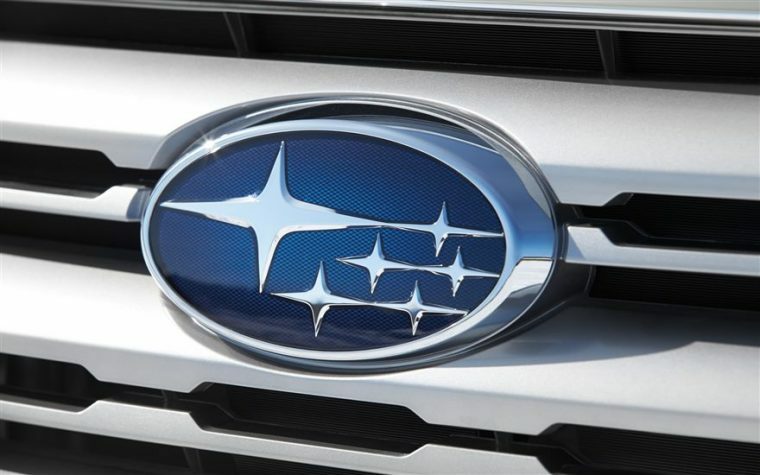 In addition, a new reverse automatic braking system has been added to Subaru’s EyeSight Driver Assist Technology. The 2017 Subaru Outback is available in six trims: 2.5i, 2.5i Premium, 2.5i Limited, 2.5i Touring, 3.6R Limited, and 3.6R Touring. 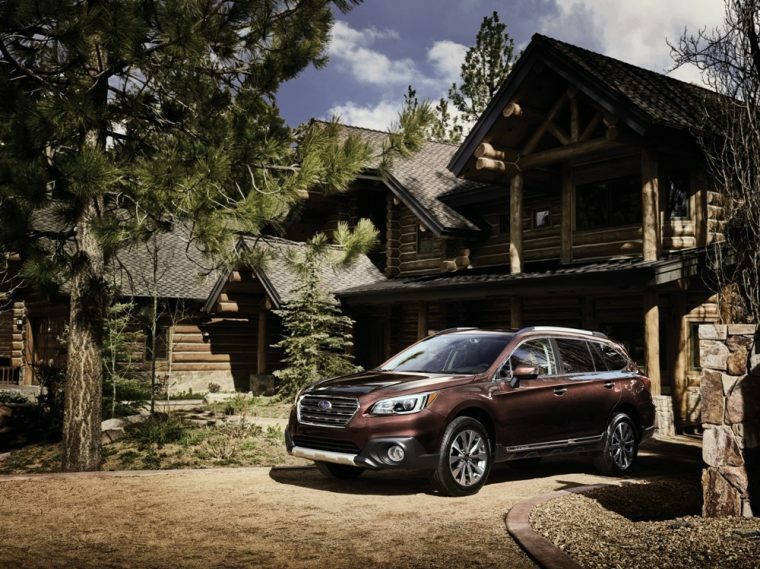 While Subaru does seem to place a great deal of emphasis on the ride quality and safety of its vehicles, the exterior of the 2017 Outback is also a highlight of the new model. The front grille includes active shutters in order to improve fuel economy and a roof rack comes standard on every model. For those potential customers with a little bit more cash available to spend, the new Subaru Outback is also available with a power moonroof and larger wheel options. Exterior color options for the ‘17 Outback include Lapis Blue Pearl, Venetian Red Pearl, and Ice Silver Metallic. The 2017 Subaru Outback offers a pair of horizontally opposed engine options. The standard motor is a 2.5-liter flat-4 that pumps out 175 horsepower and 174 lb-ft of torque. However, for those people in need of more muscle, a 3.6-liter flat-6 is also offered, which is rated at 256 horsepower and 247 lb-ft of torque. Both engines come matched with a continuously variable transmission (CVT), but the V6 can tow up to 3,000 pounds, while the four-cylinder is limited to 2,700 pounds. Furthermore, this year marks the 50th anniversary of Subaru’s horizontally opposed engines. These engines are unique because their flat designs allow them to sit deeper in the vehicle, which can lower the automobiles’ center of gravity and increase its handling abilities. 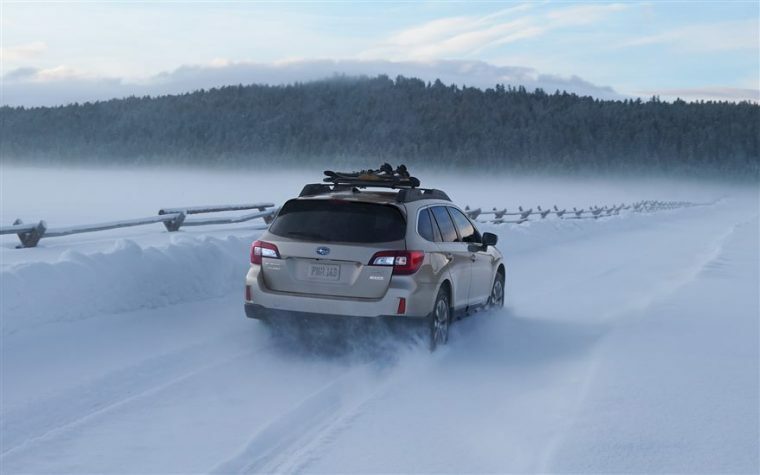 When equipped with the standard four-cylinder engine, the 2017 Subaru Outback yields EPA-estimated fuel economy of 25 mpg in the city and 32 mpg on the highway. In contrast, the ‘17 Outback with the 256-horsepower V6 underneath its hood produces fuel efficiency of 20 mpg in the city and 27 mpg on the highway. Each 2017 Subaru Outback comes standard with a 18.5 gallon fuel tank. The 2017 Subaru Outback provides a quiet and spacious interior cabin that comes standard with Bluetooth and a rearview camera. The interior also includes upgraded materials and soft-touch surfaces that offer even more comfort to the Outback’s driver and passengers. In total, the cabin of the new Outback features 143 cubic feet of space and there’s also 35.5 cubic feet of cargo room behind the rear seats. Furthermore, upgrading to the range-topping Touring trim will add Java Brown leather upholstery with ivory stitching to the interior. 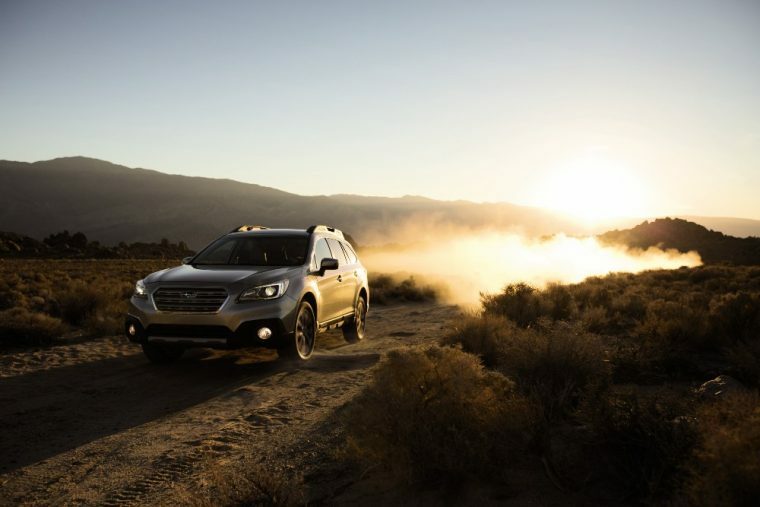 While the 2017 Subaru Outback has yet to undergo safety tests for either the IIHS or NHTSA at the time of this writing, the similarly designed 2016 model did earn IIHS Top Safety Pick+ honors, as well as a five-star overall safety rating from the federal government. Moreover, Subaru also offers its EyeSight Driver Assist Technology with the Outback, which includes advanced safety tech such as lane departure warning, rear cross traffic alert, forward collision warning with automatic emergency braking, blind spot monitors, adaptive cruise control, and rear automatic braking.